The War of the End of the World is one of the great modern historical novels. 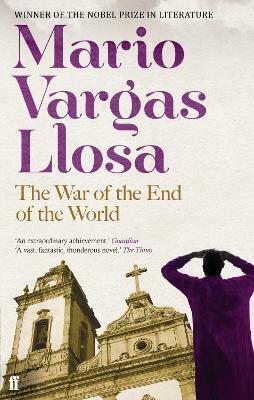 Inspired by a real episode in Brazilian history, Mario Vargas Llosa tells the story of an apocalyptic movement, led by a mysterious prophet, in which prostitutes, beggars and bandits establish Canudos, a new republic, a libertarian paradise. With novels including The War of the End of the World, Aunt Julia and the Scriptwriter, The Notebooks of Don Rigoberto and The Feast of the Goat, Mario Vargas Llosa has established an international reputation as one of the Latin America's most important authors. He was awarded the Nobel Prize for Literature in 2010.